This week's Viwawa Followers Contest winner is IMDice, our Twitter follower, selected from 291 Blog and 344 Twitter followers. Thanks for following our tweets, and for that, you have won 100 Viwawa cash in our Follower's Contest! IMDice, just reply @viwawa on your Twitter account with your Viwawa username and we will credit free 100 Viwawa Cash to your account! Sorry, I do reply you so late because I didn’t check my reply comment anyways lucky me from your 291 Blog and 344 Twitter followers. 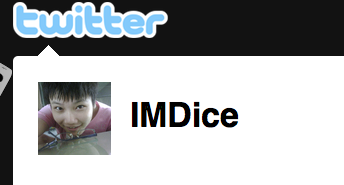 :) “DICER” is my username on viwawa and thanks so much for credit free 100 Viwawa Cash to my account! However, I've replied on my twitter already.